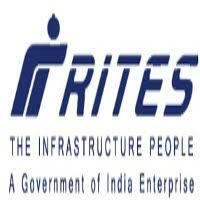 RITES Notification 2018.Rail India Technical and Economic Service has released a notification for the recruitment of Deputy General Manager vacancies.Check the eligiblity and notification prior to apply for the positions. Applications are to be sent through respective administrative officer (HQ/Board) indicating No Objection, Vigilance/DAR clearance and ACRs for the past 07 years. The applicants are also required to send their CV in the prescribed format along with the applications.